"Come see us for all your hearing needs. Our clinic provides services for adults and children ages 4 and up"
She graduated from the University of Buenos Aires, Argentina where she obtained her degree in Audiology and Speech Language Pathology. Since 1989, she has been registered as a certified Audiologist in Ontario and has been a member of College of Audiologists and Speech Language Pathologists of Ontario (CASLPO) since 1993. She has been working in the Audiology Department of Windsor Regional Hospital since 1989 as a Clinical Audiologist serving children and adults. For the last 8 years, she has been busy working as a diagnostic and dispensing Audiologist of an ENT (Ear, Nose, and Throat) practice of two well-known specialists in the community. Since 2004, Alexandra has been providing diagnostic hearing testing to newborns as part of the Infant Hearing Program, funded by the Ontario Ministry of Health. In 2003, Alexandra opened her private practice In Home Hearing Services bringing audiology services to patient’s homes as well as serving retirement and nursing homes in the community. Alexandra is a member of the Canadian Academy of Audiology (CAA) and past member of the American Academy of Audiology (AAA) and the Ontario Speech Language Pathology and Audiology Association (OSLA). Alexandra is a registered vendor, authorizer and prescriber with the Assistive Devices Program (ADP), Ontario Ministry of Health. “I am passionate about my work in helping others find the right solutions to improve their hearing. 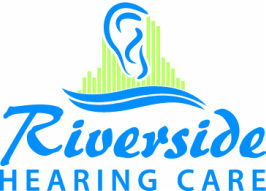 Patients at Riverside Hearing Care will receive professional help in a friendly atmosphere”. Gabriel Giordano graduated from Grant MacEwan University in 2011 with a Hearing Aid Practitioner diploma. He completed the requirements to practice in Ontario as a certified Hearing Instrument Specialist. Since 2003, he has been working as an Administrator at In Home Hearing Services. He holds a certification as a Quality Control Technician from the American Society for Quality (ASQ). Gabriel is a member of the Association of Hearing Instrument Practitioners of Ontario (AHIP) and a registered Assistive Devices Program (ADP) authorizer. He currently works alongside his business partner and wife Alexandra Giordano at their clinic Riverside Hearing Care. Chantale is a dedicated professional who strives to provide the highest standard of hearing healthcare for patients and their families. She is competent in adult and pediatric audiological evaluations, hearing aid evaluations, fittings, Otoacoustic Emissions (OAE) testing, Central Auditory Processing (CAP) testing and Auditory Brainstem Response (ABR) testing. Chantale holds a doctoral degree in Audiology (Au.D.) from Wayne State University and earned her undergraduate degree in French Language and Literature from the University of Windsor. She is registered with the College of Audiologists and Speech Language Pathologists of Ontario (CASLPO), and a registered authorizer and prescriber with the Assistive Devices Program (ADP), Ontario Ministry of Health.